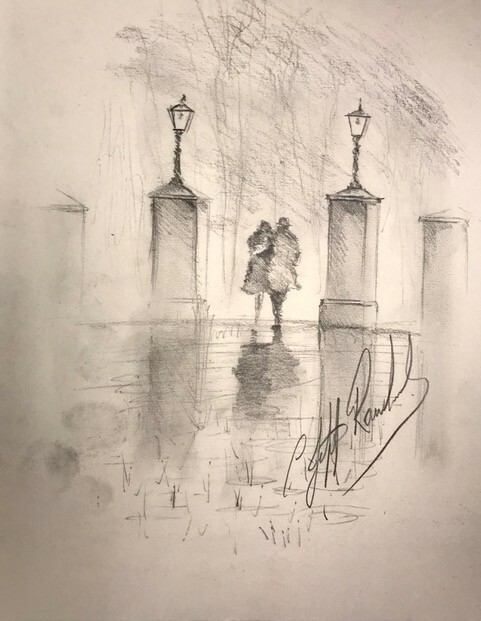 We Are Almost Home, signed original study by artist Jeff Rowland. A heartwarming study by the popular contemporary artist Jeff Rowland. Two central figures walk through the rain side-by-side. A rare and a fascinating insight into the artist's process.